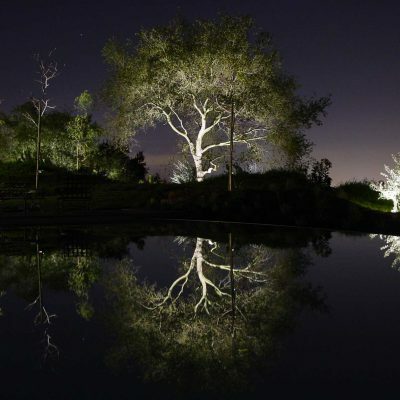 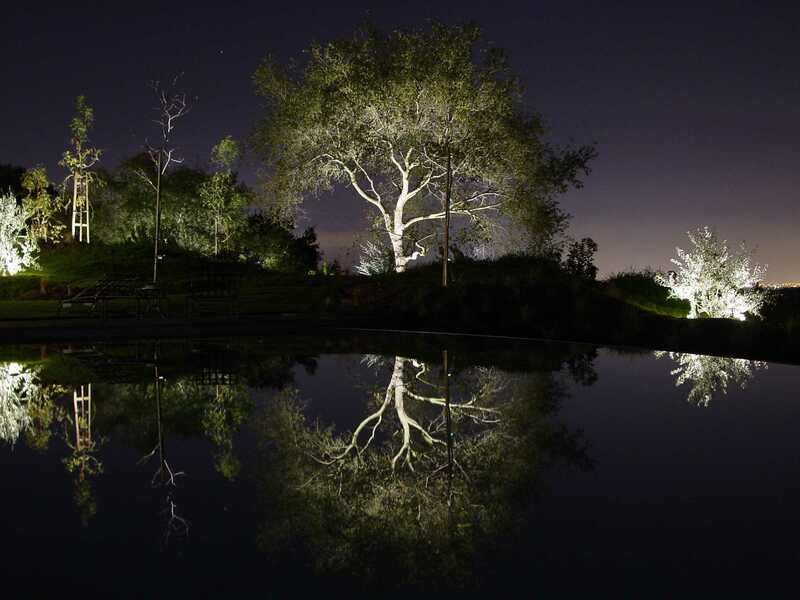 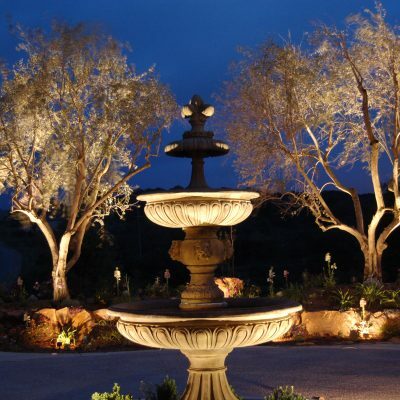 LET US HELP BRING YOUR CUSTOM LANDSCAPE LIGHTING VISION TO LIFE! 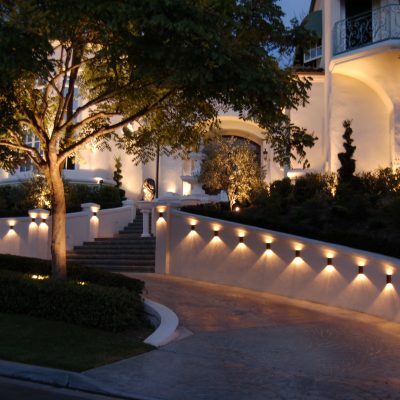 Introducing the Elements series by Unique Lighting. 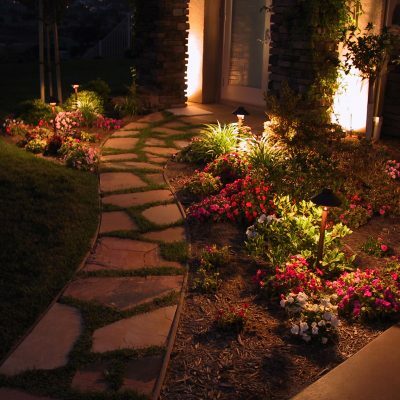 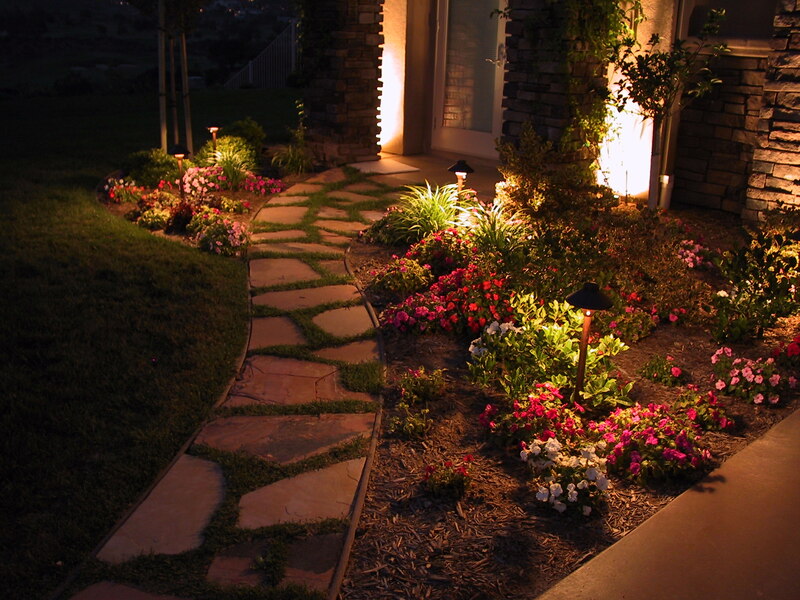 Help beautify your landscape and house at night and add protection. 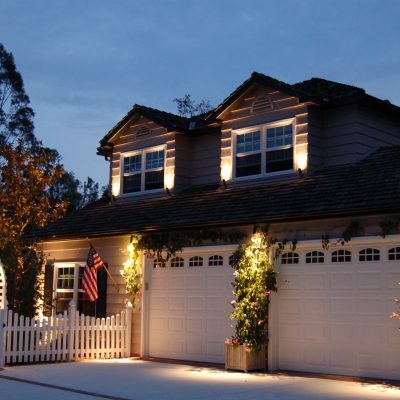 One of the most expensive purchases you will make in your life is your house. 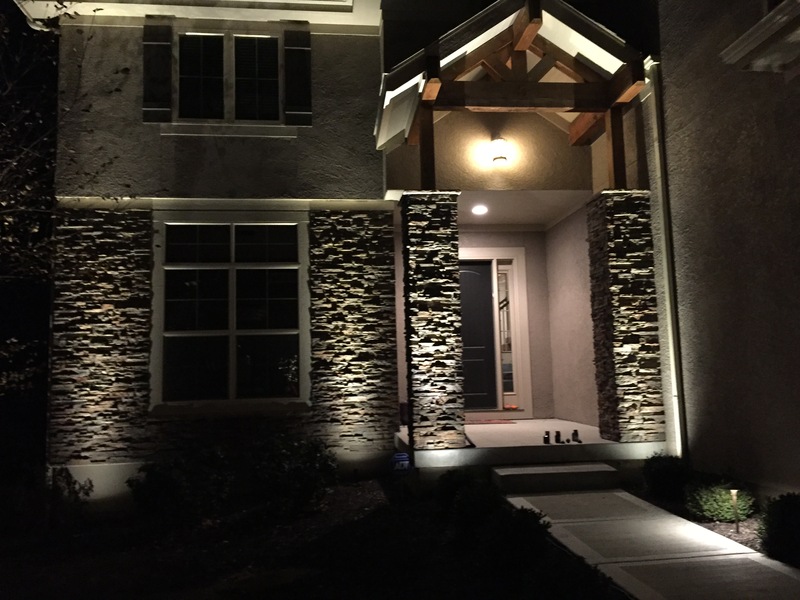 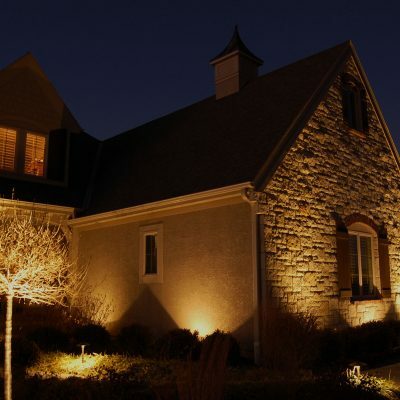 Why should it just have curb appeal during the day while you can accentuate its beauty at night with a unique landscape lighting project? 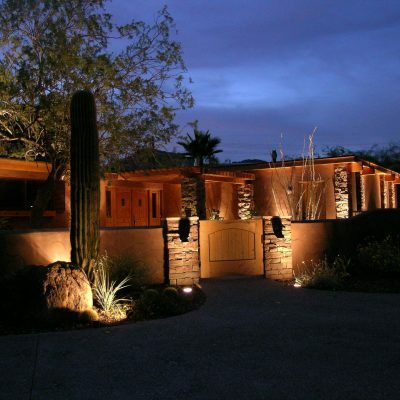 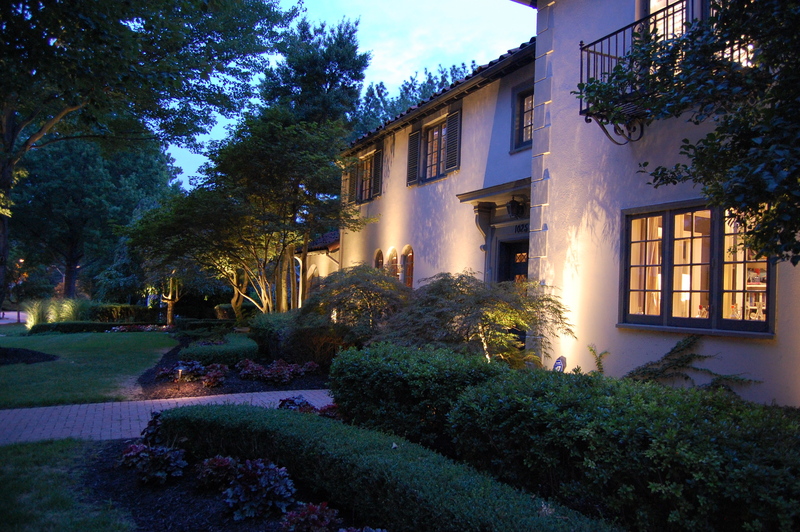 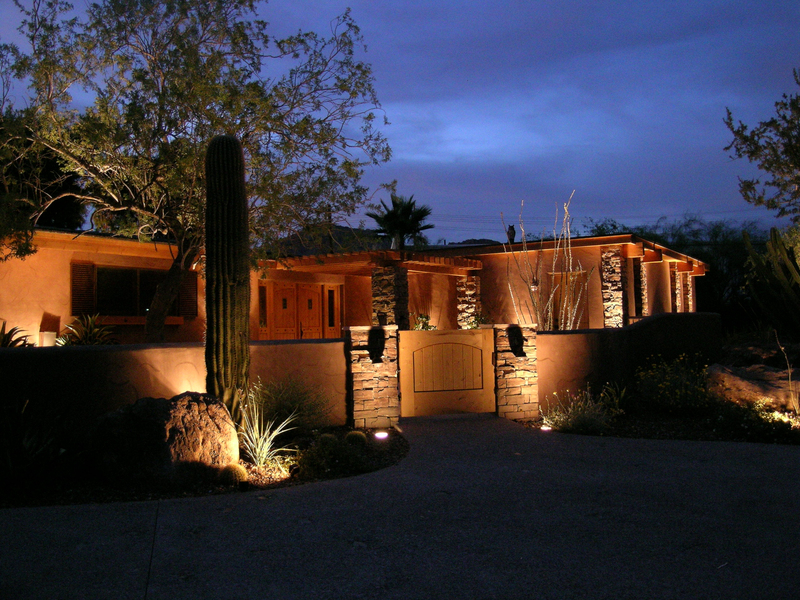 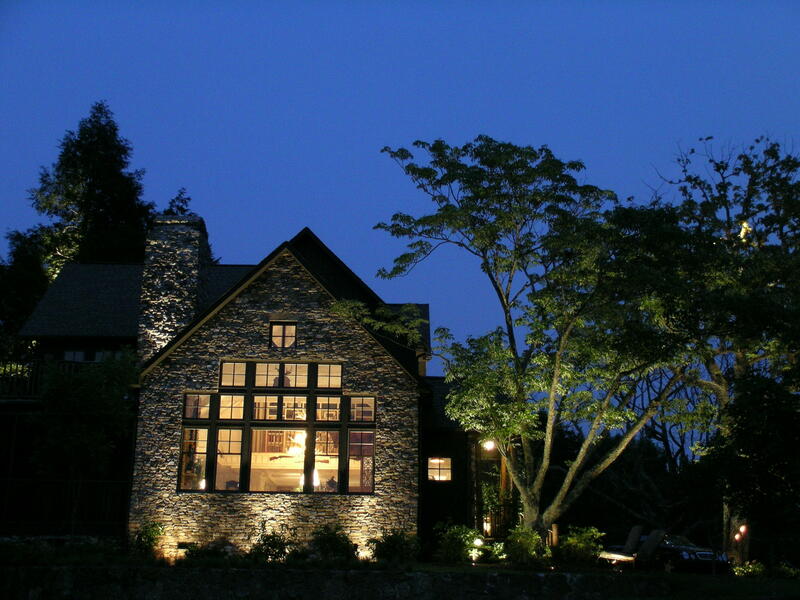 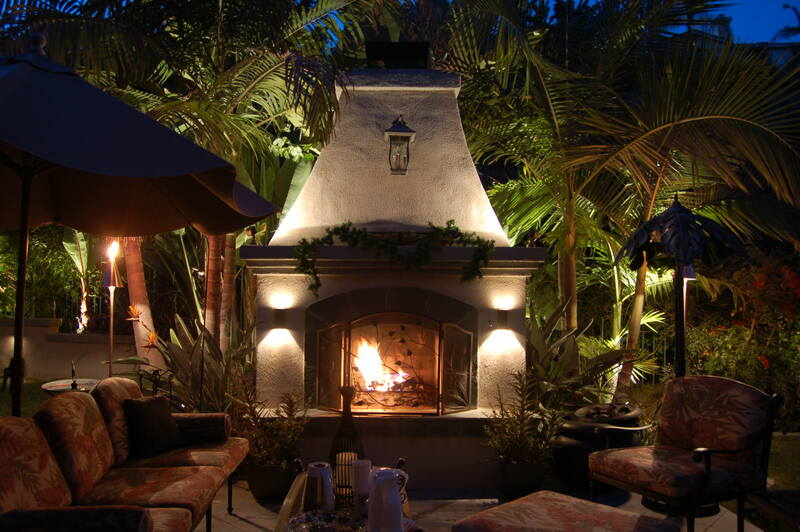 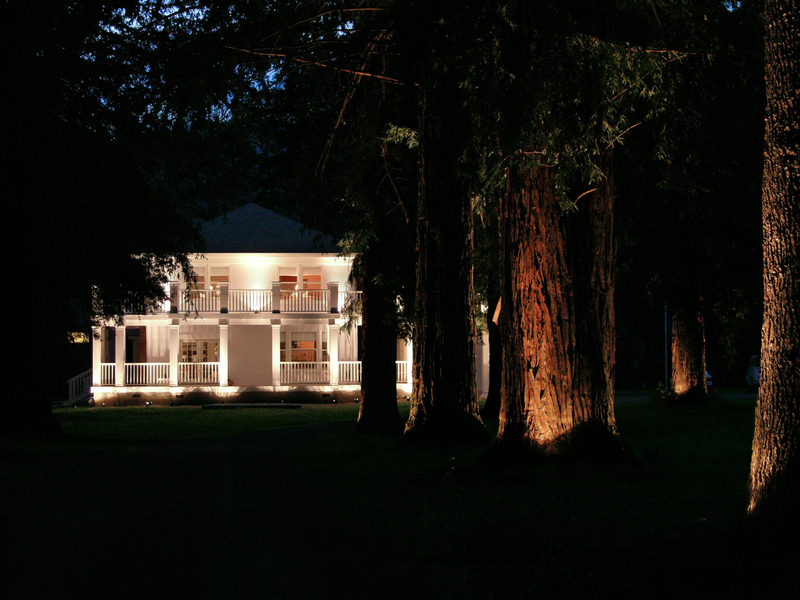 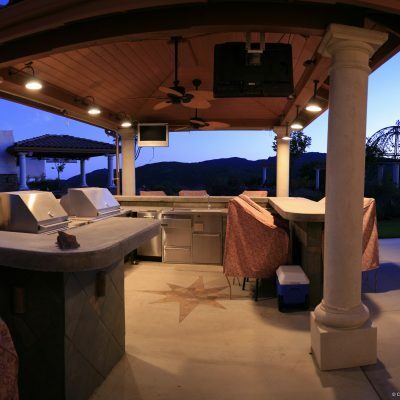 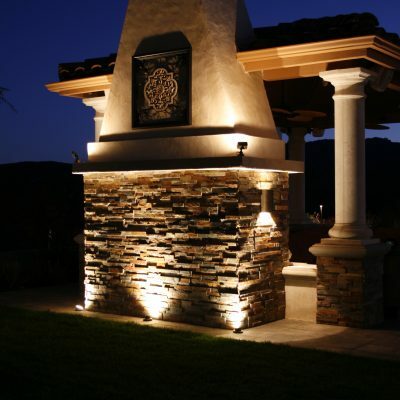 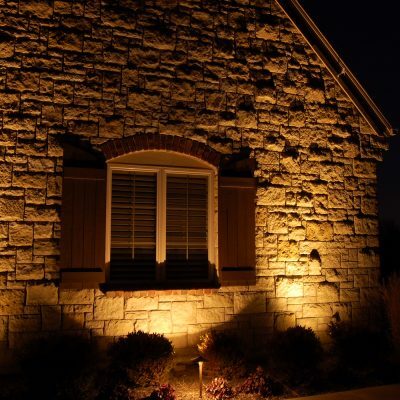 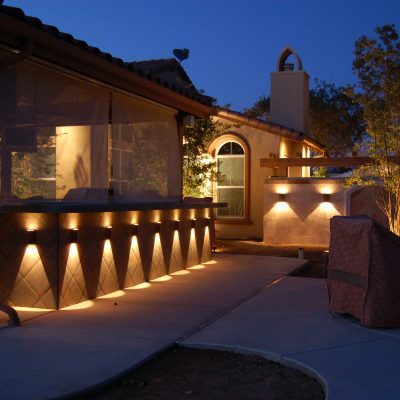 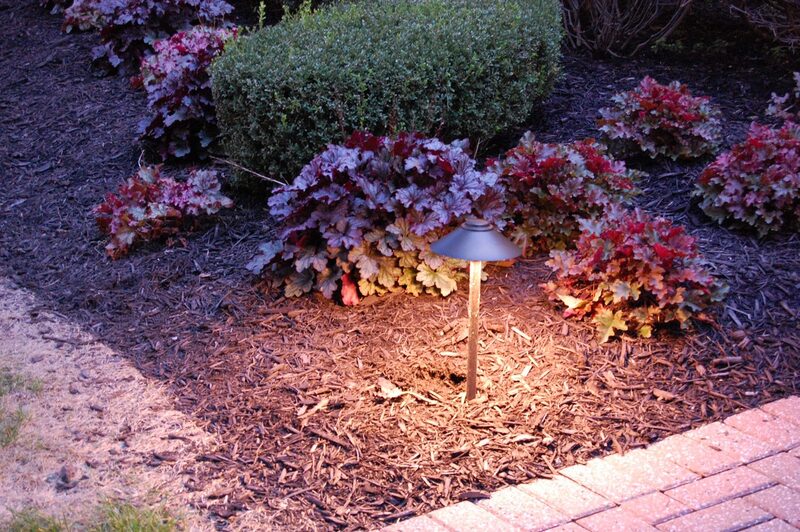 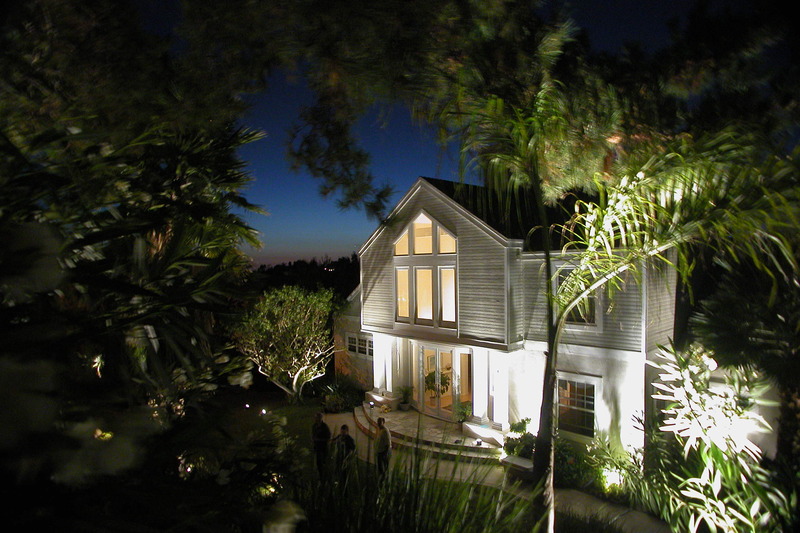 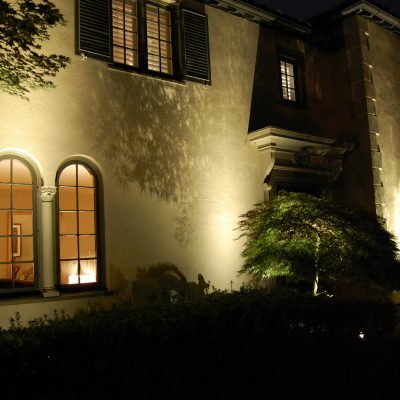 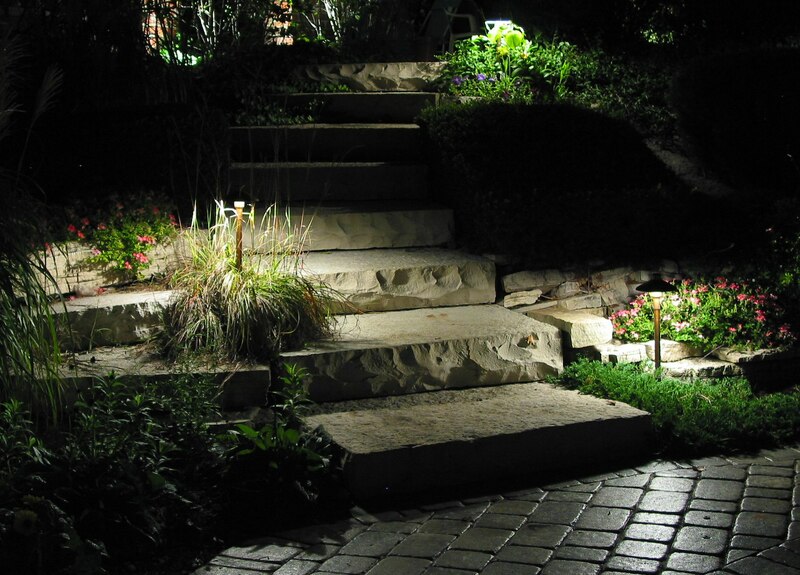 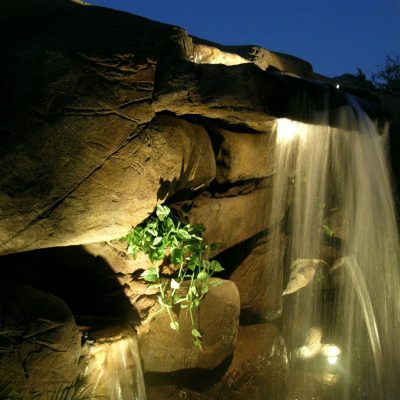 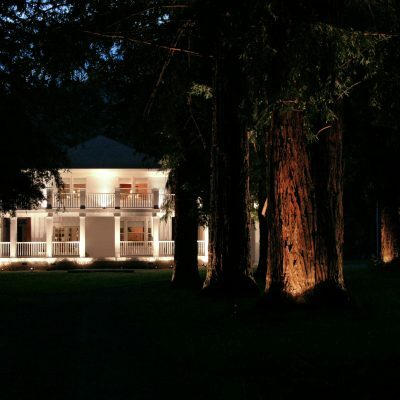 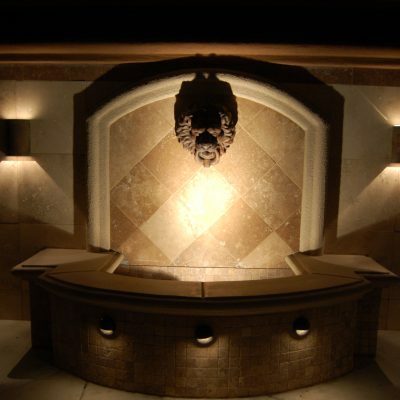 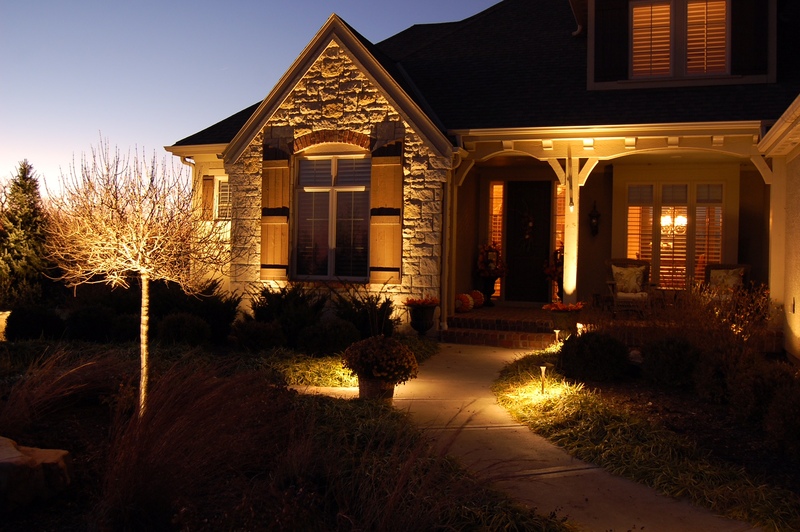 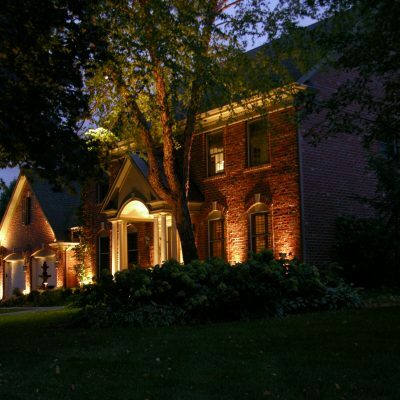 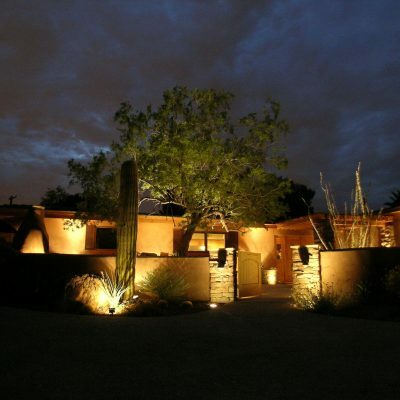 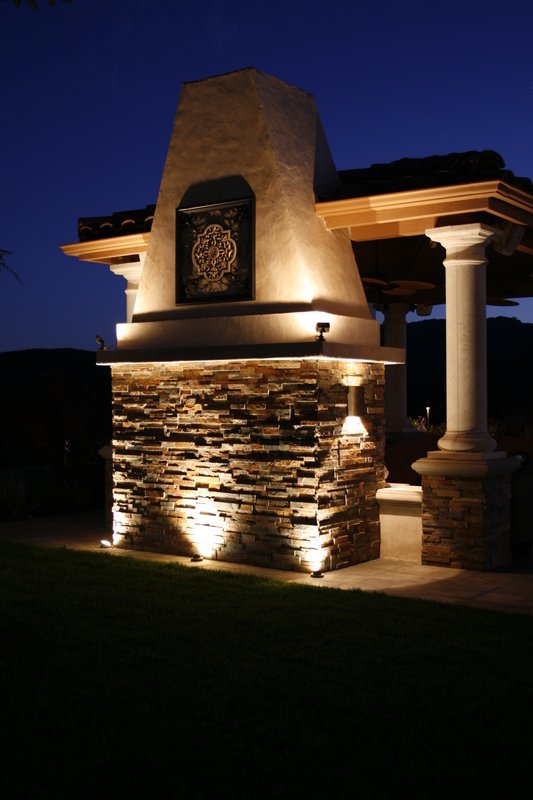 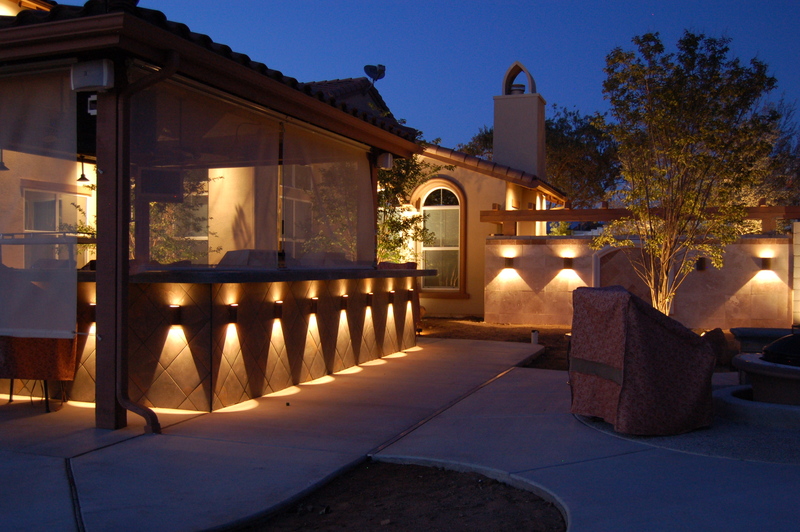 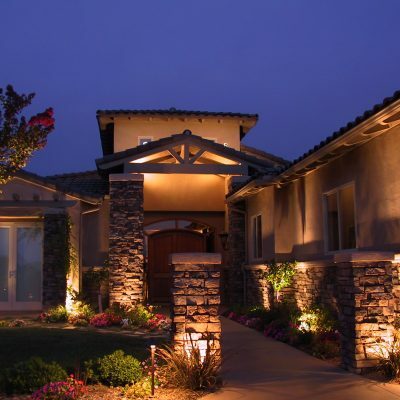 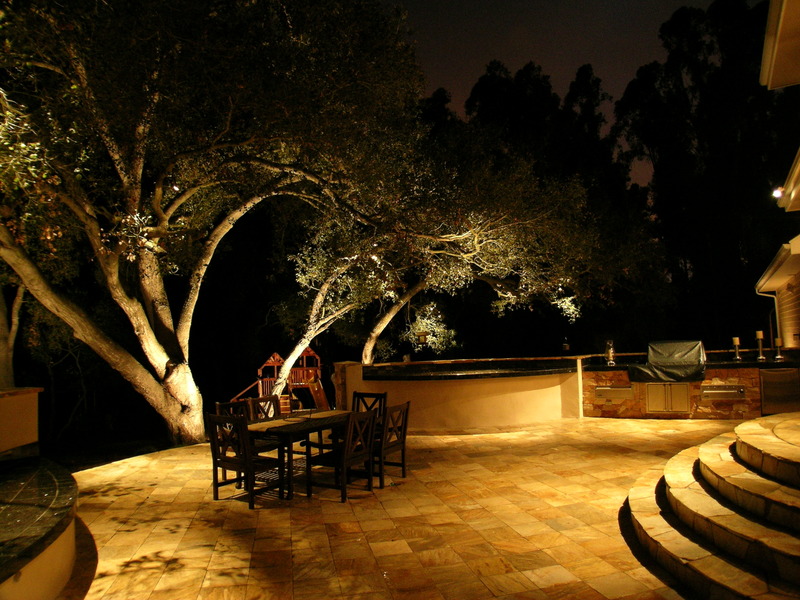 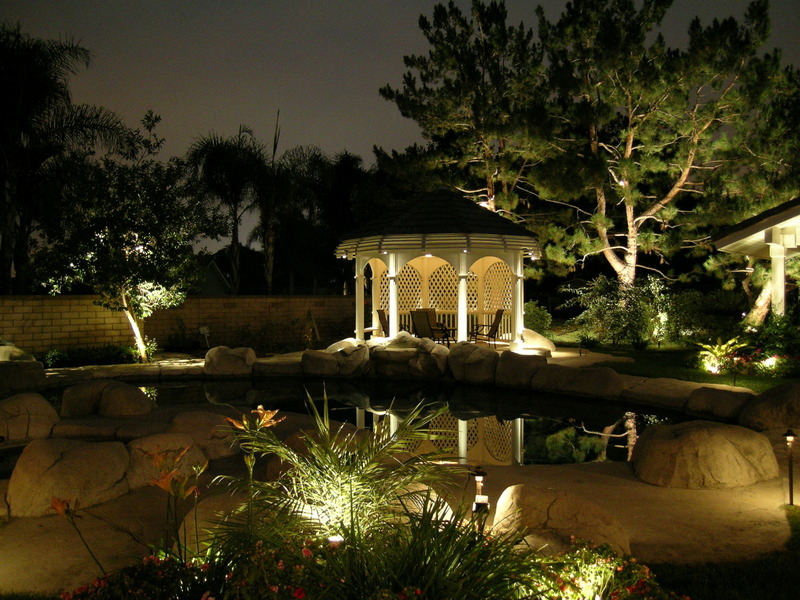 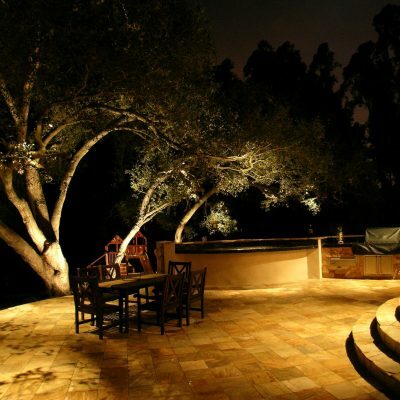 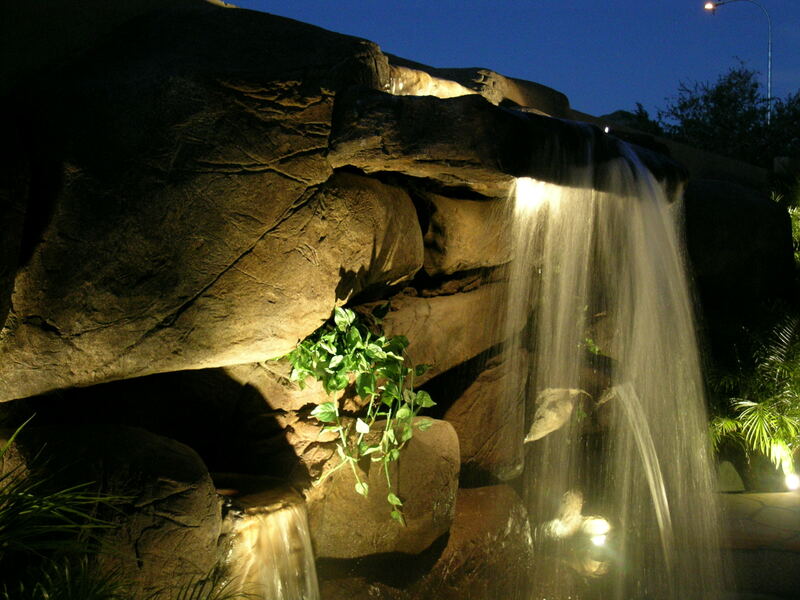 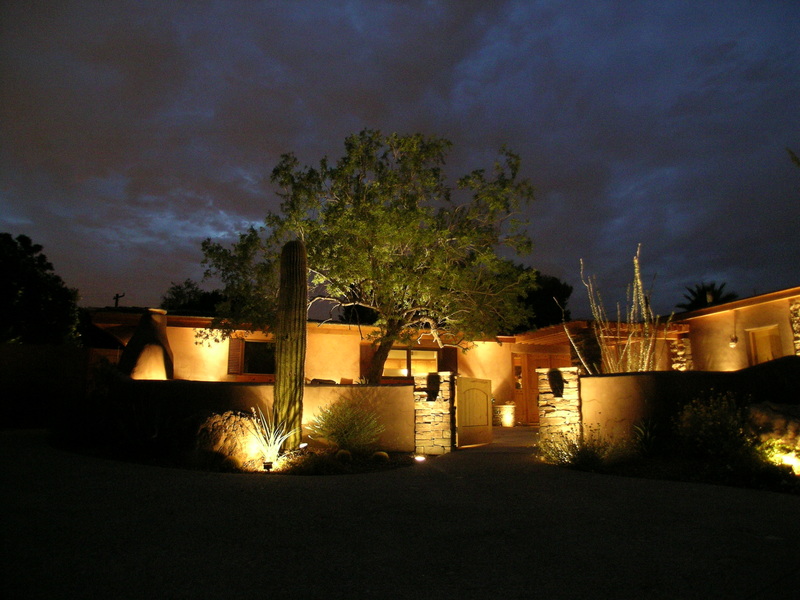 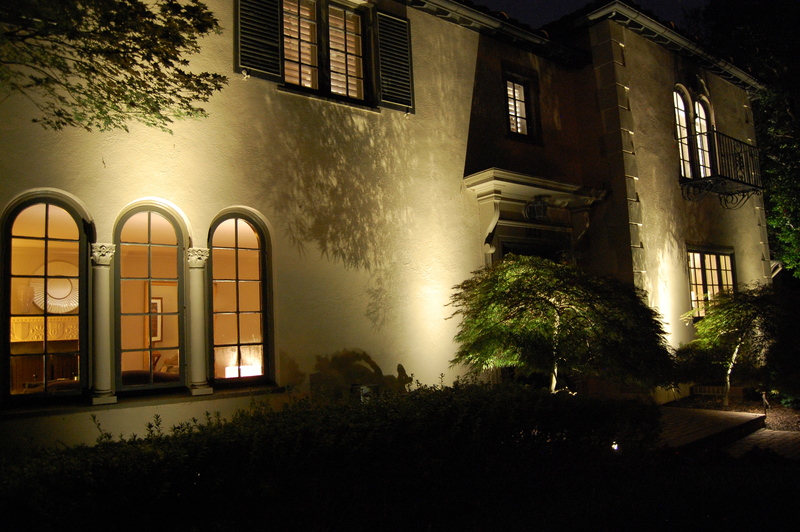 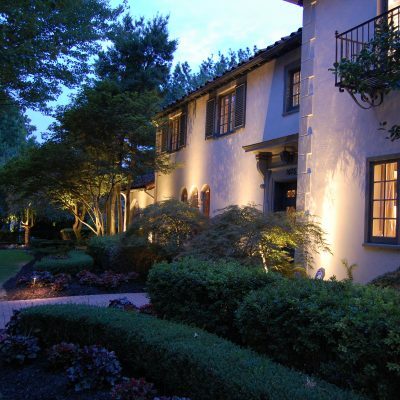 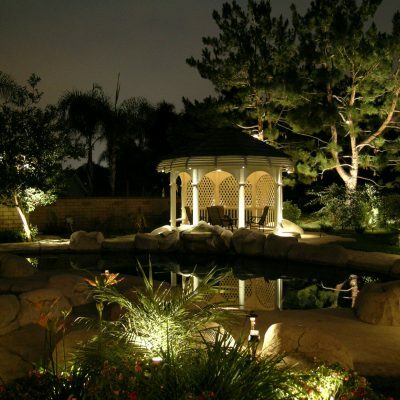 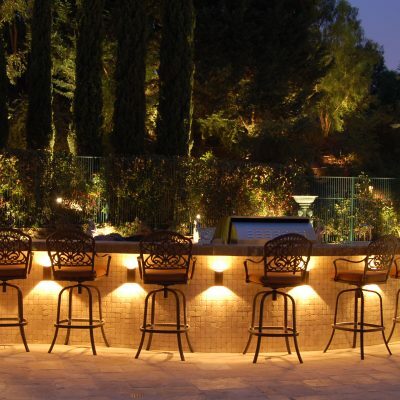 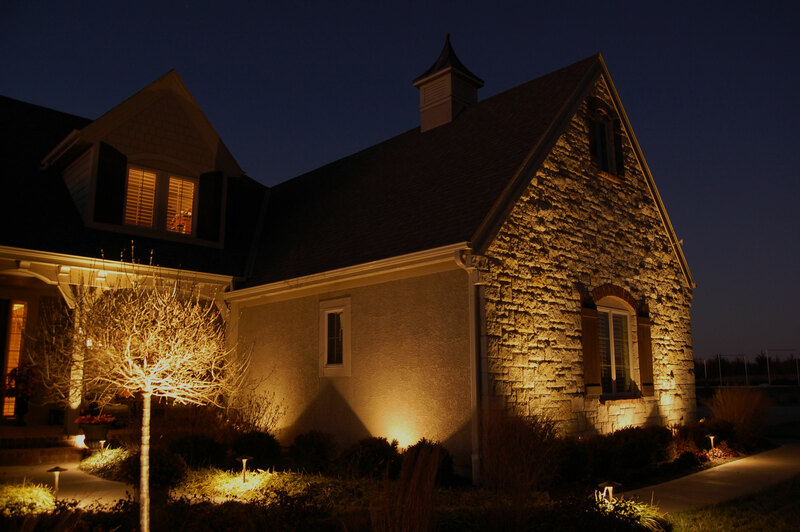 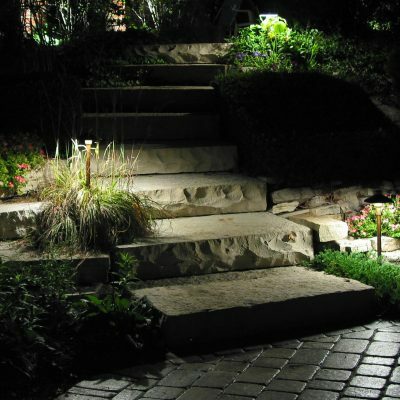 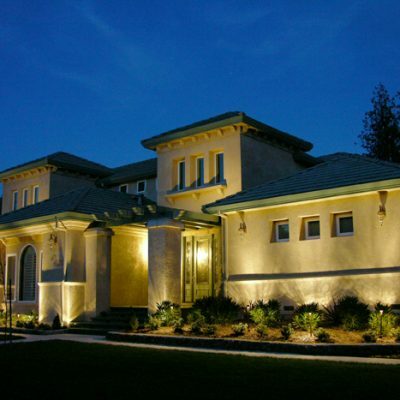 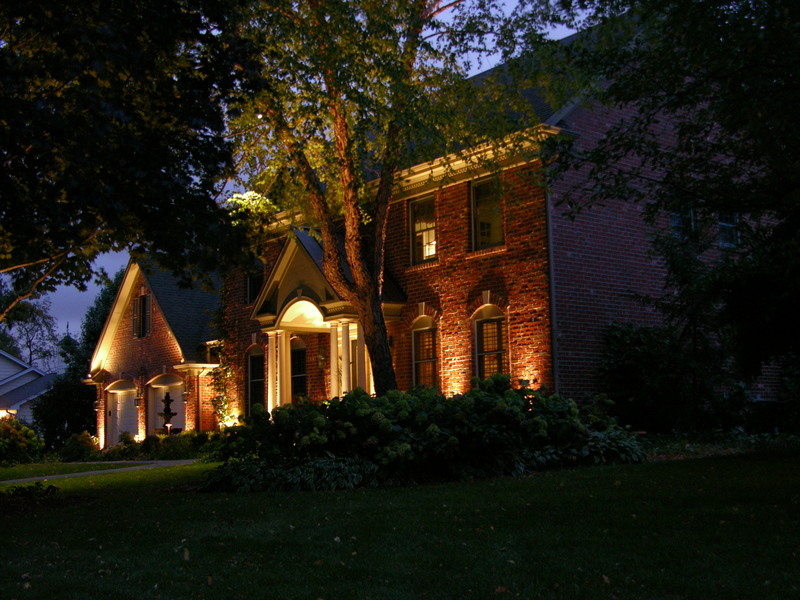 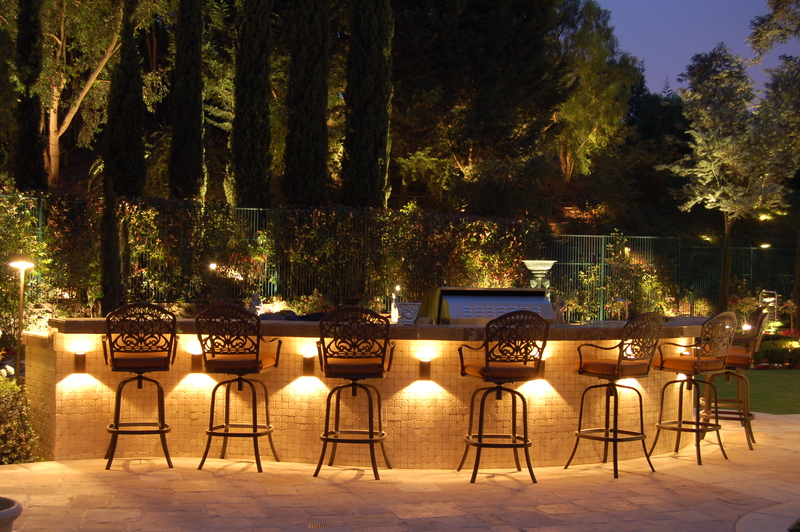 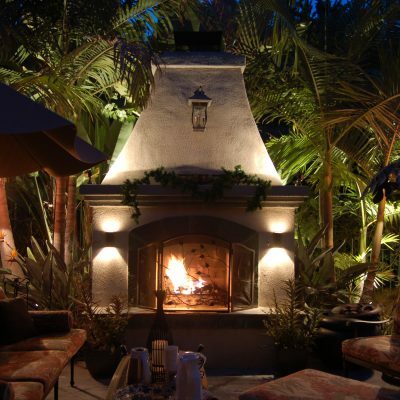 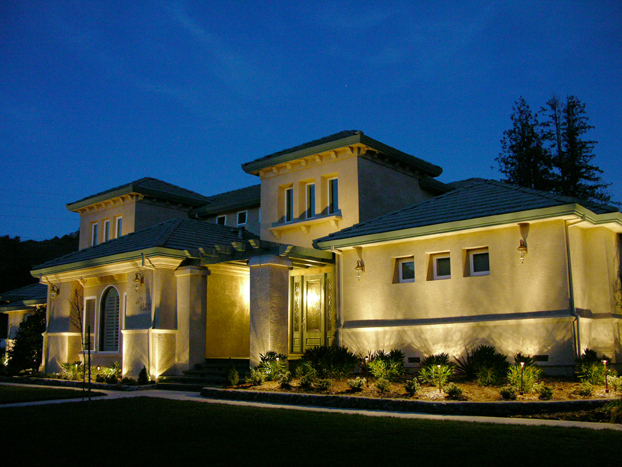 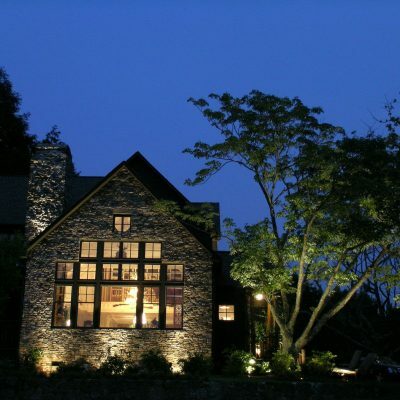 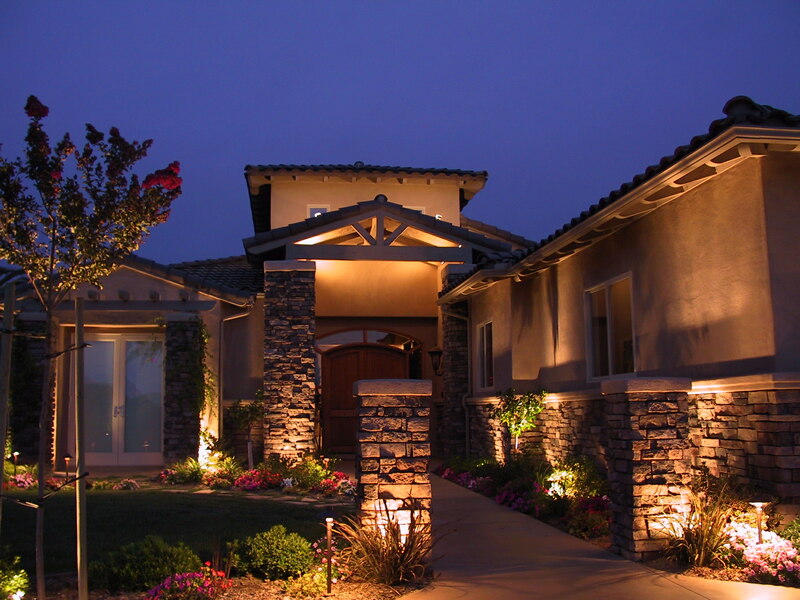 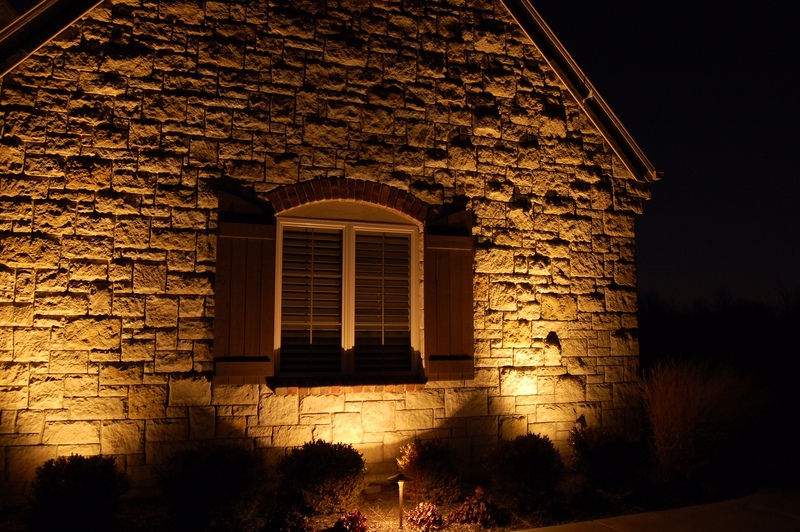 Our custom landscape lighting projects bring out the best features of your home. 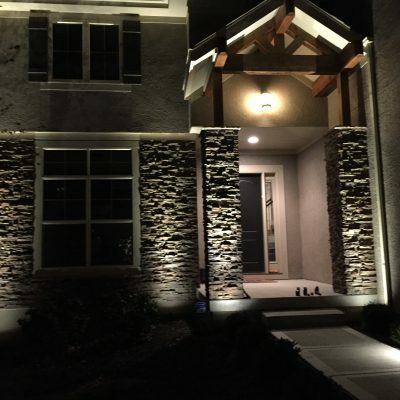 We combine your vision with our experience in the landscape lighting business to bring out your homes finest qualities year round. 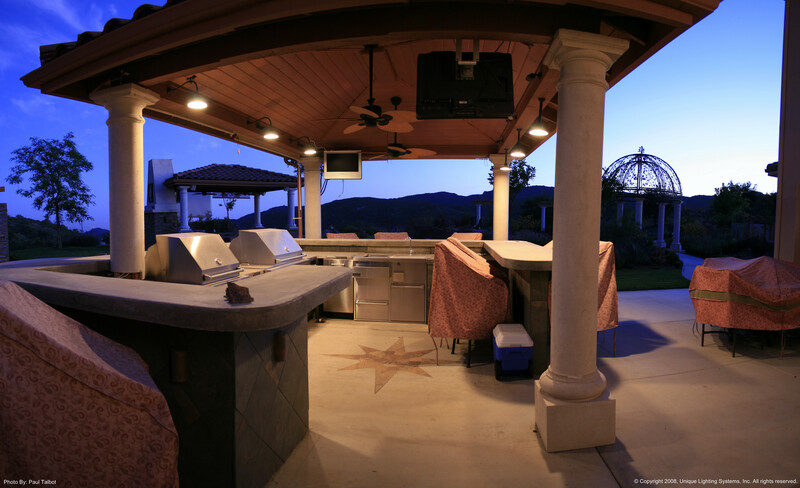 Give your home that inviting feel for summer barbecues and holiday parties. 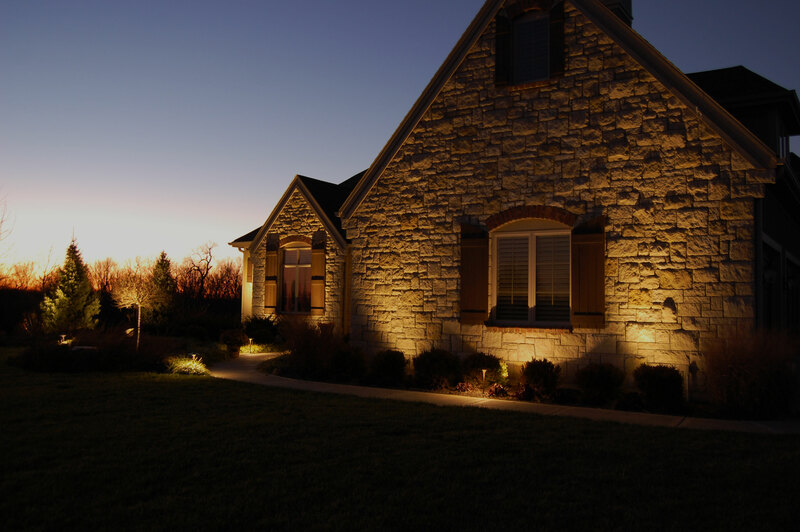 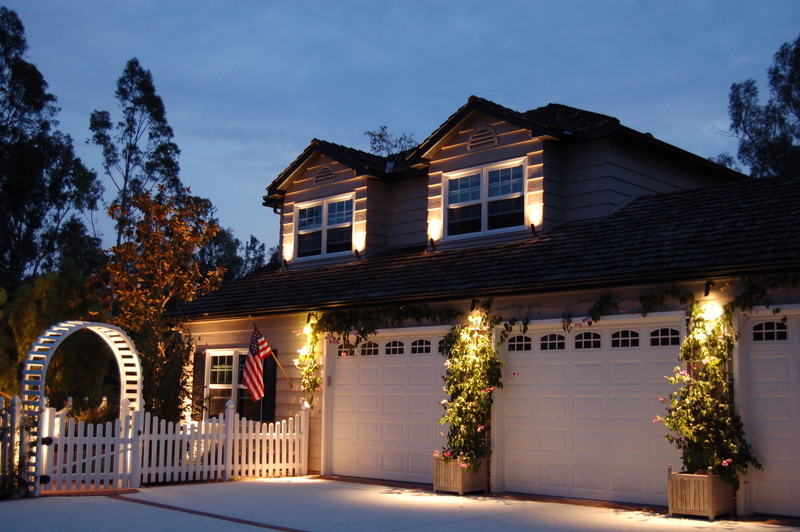 When the sun goes down, your home transforms into the most welcoming house on the block with our custom landscape lighting. 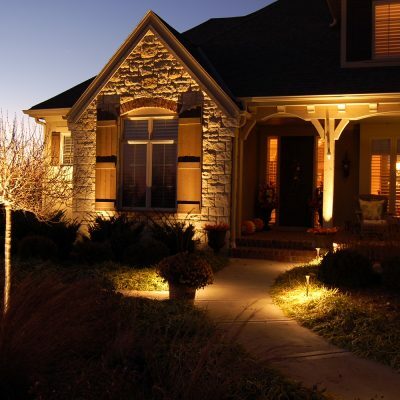 Add protection by lighting up dark areas that would-be thieves would usually consider hiding spots. 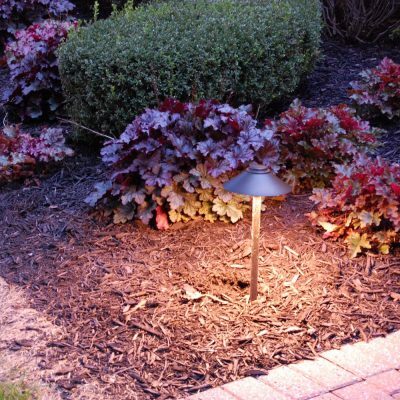 The Elements series offers a 10 year warranty on the fixtures and five year on the LED bulbs. 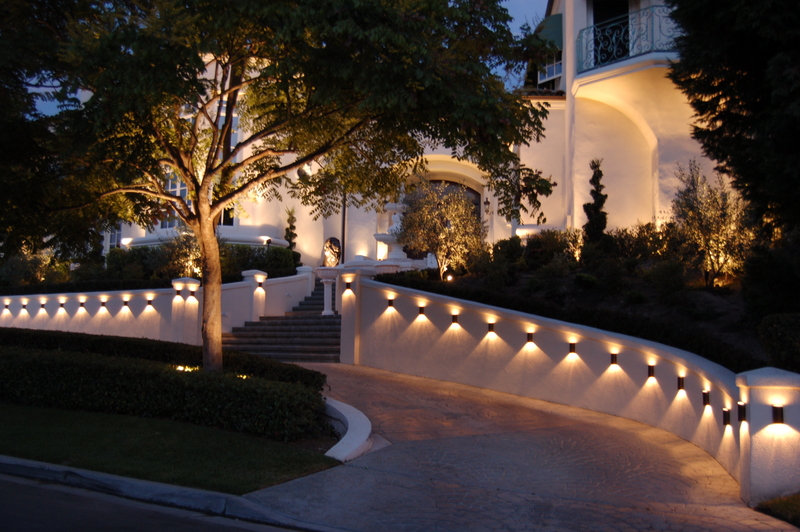 We offer several different types of outdoor lighting and our crew has experience installing all of them. 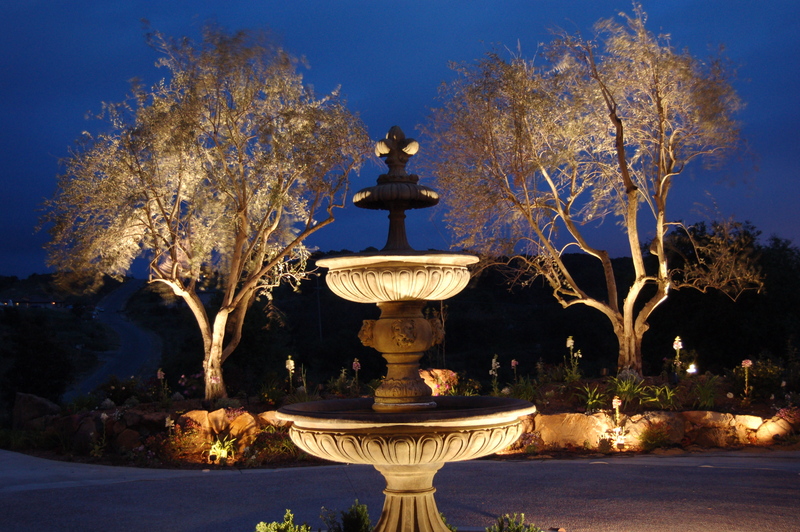 Please contact us for more information on your custom landscape lighting project. 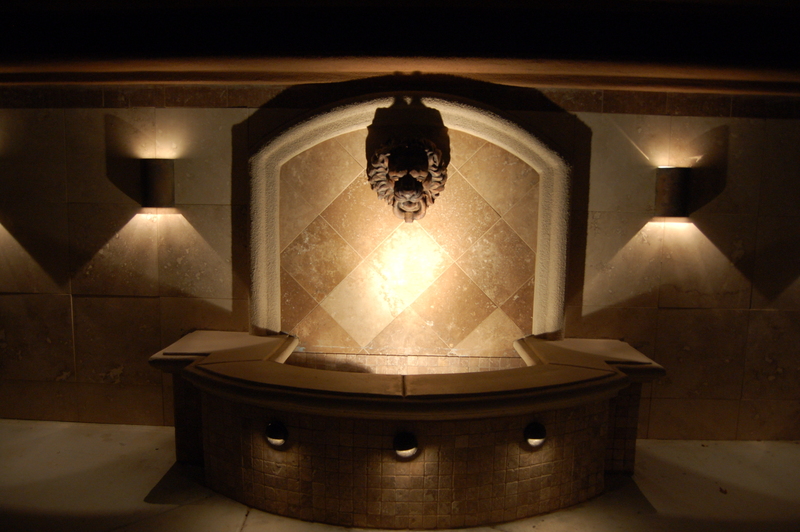 All of our projects are created custom with our expertise and your vision in mind. 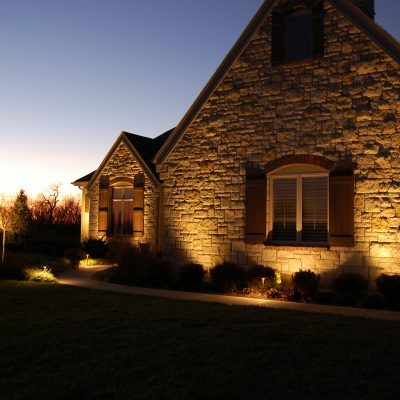 Schedule an appointment today and one of our landscape lighting experts will consult with you.